Class 2S have been learning how to identify some of the many features that we can find on different types of maps during recent geography lessons. 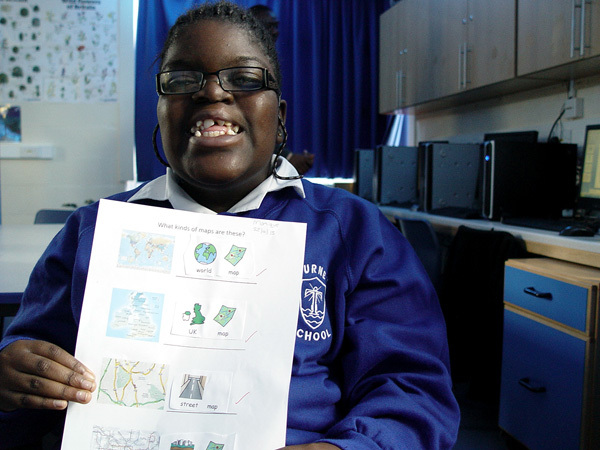 We introduced to the pupils the concept that maps are available in different forms. Some maps represent a particular area, whereas others might show us some other details such as rivers or lakes in a particular location. Our starting focus was to learn about four specific maps: a world map, a map of the UK, a street map of South London and a London tube map. We asked the pupils to look at the maps and to identify the different features. We saw how the world map contained plenty of water, whereas the tube map only has train lines. Class 2S then carried out an exercise to help further with our map identification work. We cut up four different pictures of maps, and then stuck these in the corresponding description of each map in our geography books. We finished our work by handing around the Turney School atlases. We found out how these books can contain maps showing great amounts of detail.